We (Kati of Terra writer Helena Puumala and myself) went with Kati of Terra artist Leona Olausen and her husband Ken to an art show called "Marking the Valley", at the Jubilee Auditorium (Kaasa Gallery) last week. 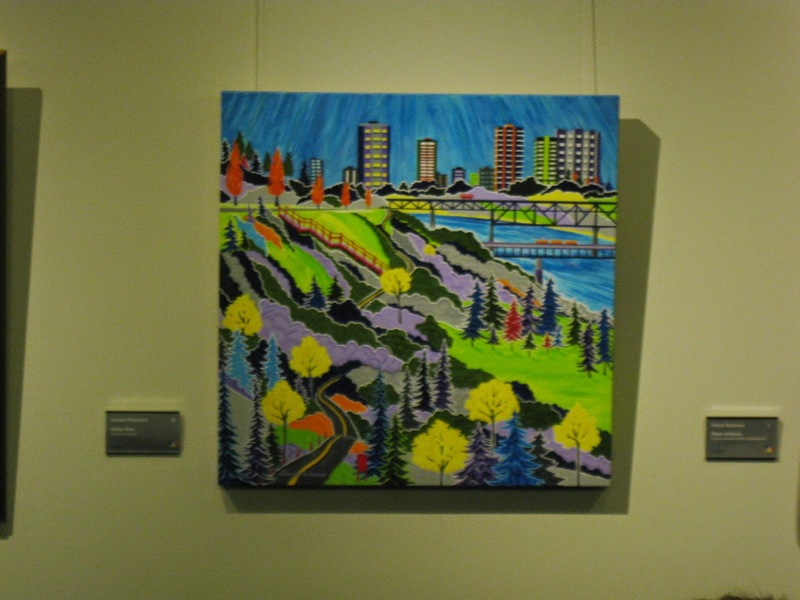 It featured art by 28 different artists from Alberta (mostly near Edmonton, but a few from farther away). The subject matter was the North Saskatchewan River Valley, the most well-loved and spectacular natural feature in the local area. Each of the artists gave their own visual interpretation of the valley, using different media and different visual styles. The show also had a tie-in with work on expanding the river valley trails, which are currently extensive, even greater distances, from Devon to Fort Saskatchewan (nearly 90 km of continuous hiking and biking trails, mostly paved, as well a hundreds of km of secondary trails). 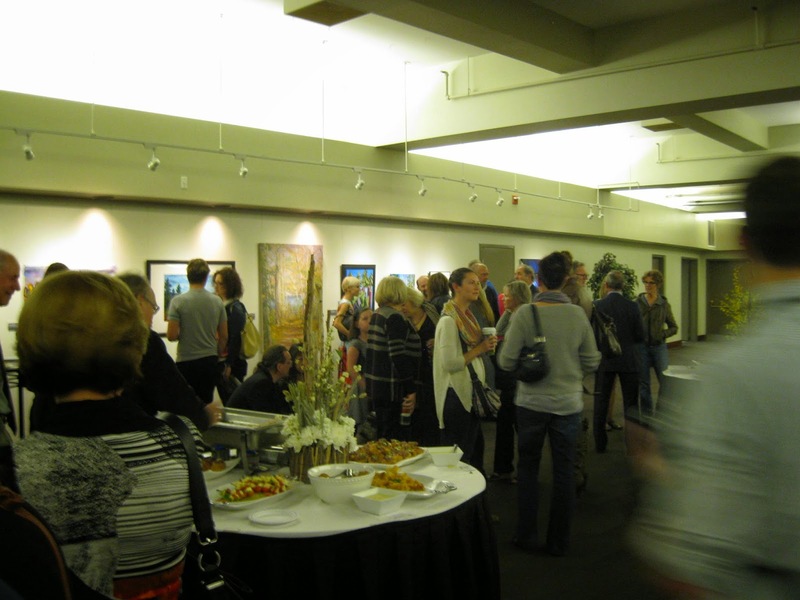 It was very well attended, with many artists, art lovers and river valley lovers present. I must have looked like an art collector, as several artists gave me (and Helena) their comp wine tickets - otherwise it was a cash bar :). And, yes, I realize that was a pretty lame way to work in the reference to Kati of Terra . Some of the guests and artwork. 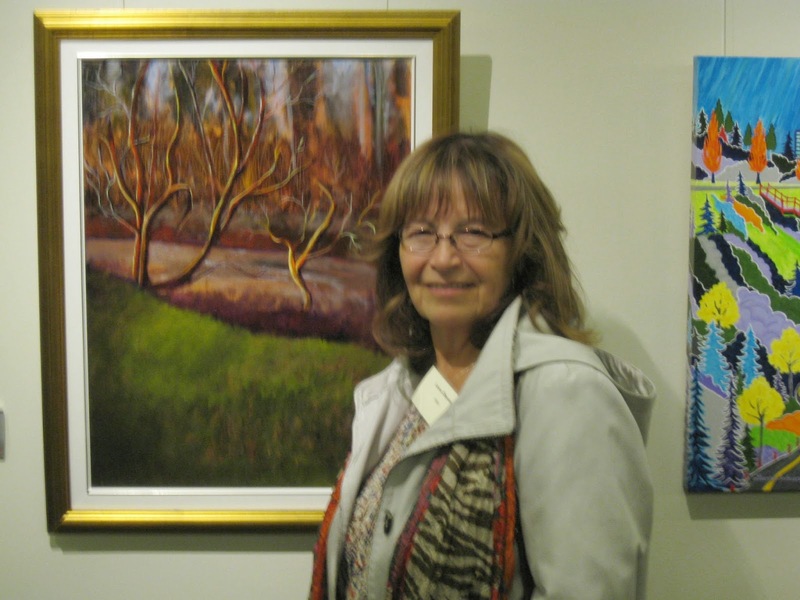 This painting won the peoples's choice vote.